The Omnijore Hipbelt is a component of the Ruffwear Omnijore Joring System. The system is designed for any dog-powered activity such as skijoring, mountainboardjoring, skatejoring, bikejoring, or canicross. 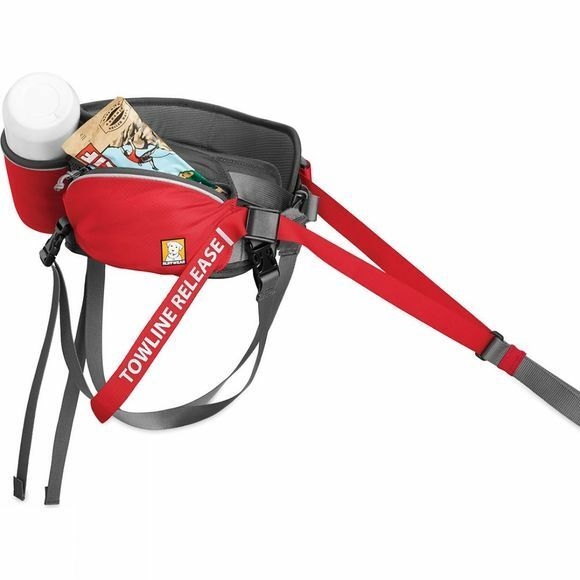 The Hipbelt allows for 180 degrees of tow direction for use in multiple joring sports. 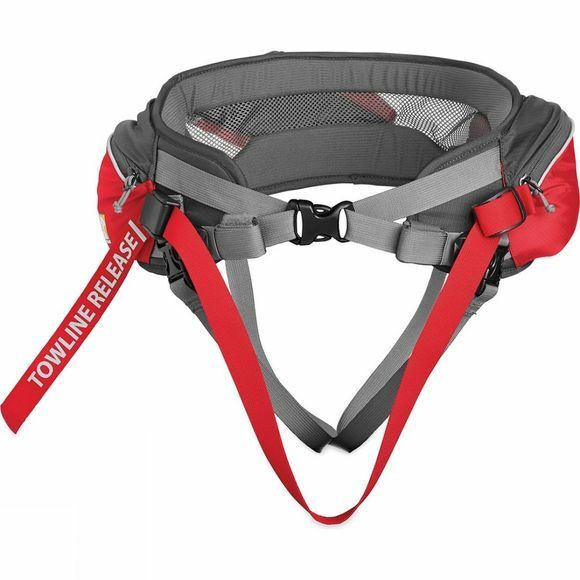 An intuitive towline release allows quick disconnect. Leg loops keep the hipbelt in place and can be removed if desired. There is also a water bottle holster and two zipped pockets to store basic essentials. The other components in the system are the Dog Harness and Towline.